Hamburg - Leap the elbe, within the context of hamburg a growing city, there is pressure on the historically industrial and agricultural island of Wilhelmsburg. How this growth takes place is the frame of this study. 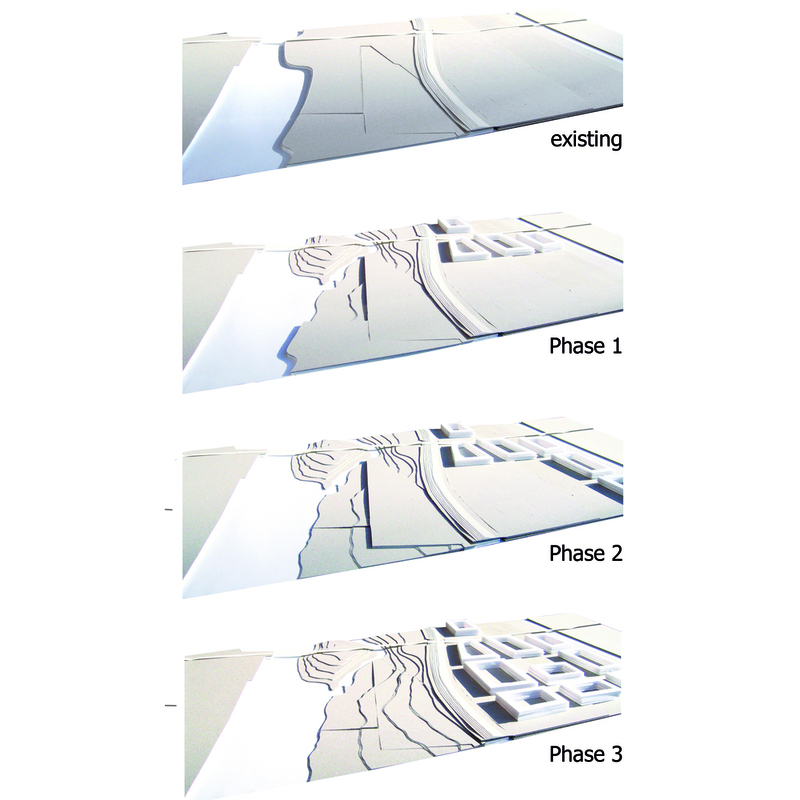 Through the testing of scenarios, the study explores the possibilities for building on a river island and defining a landscape framework for future development which respects the natural floodplain of the elbe. 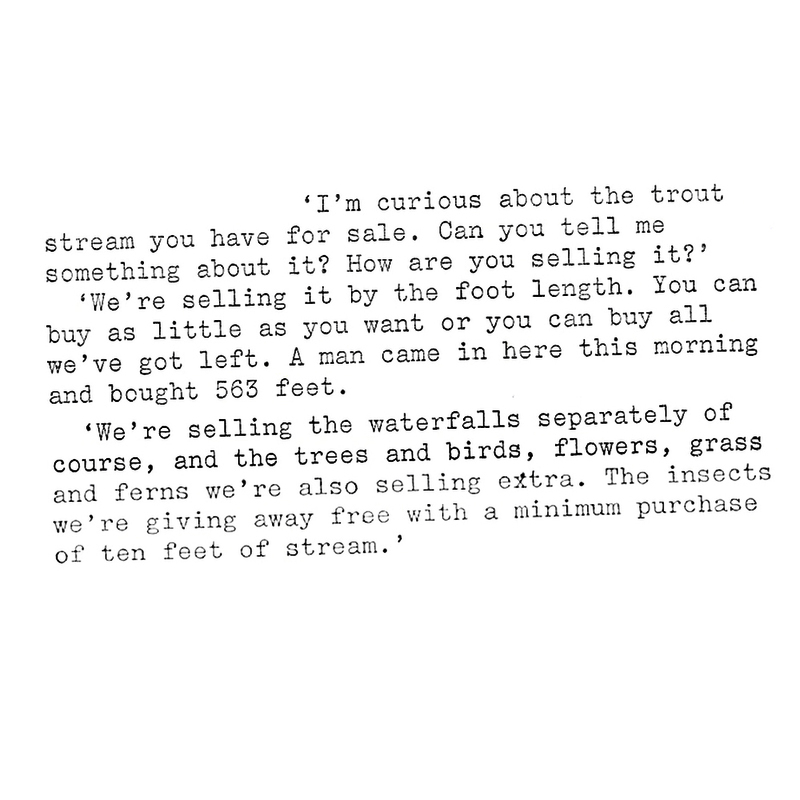 "I'm curious about the trout stream you have for sale. Can you tell me something about it? How are you selling it?" "We're selling it by the foot length. You can buy as little as you want or you can buy all we've got left. A man came in here this morning and bought 563 feet. He's going to give it to his niece for a birthday present, " the salesman said. "We're selling the waterfalls separately of course, and the trees and birds, flowers grass and ferns we're also selling extra. The insects we're giving away free with a minimum purchase of ten feet of stream. " 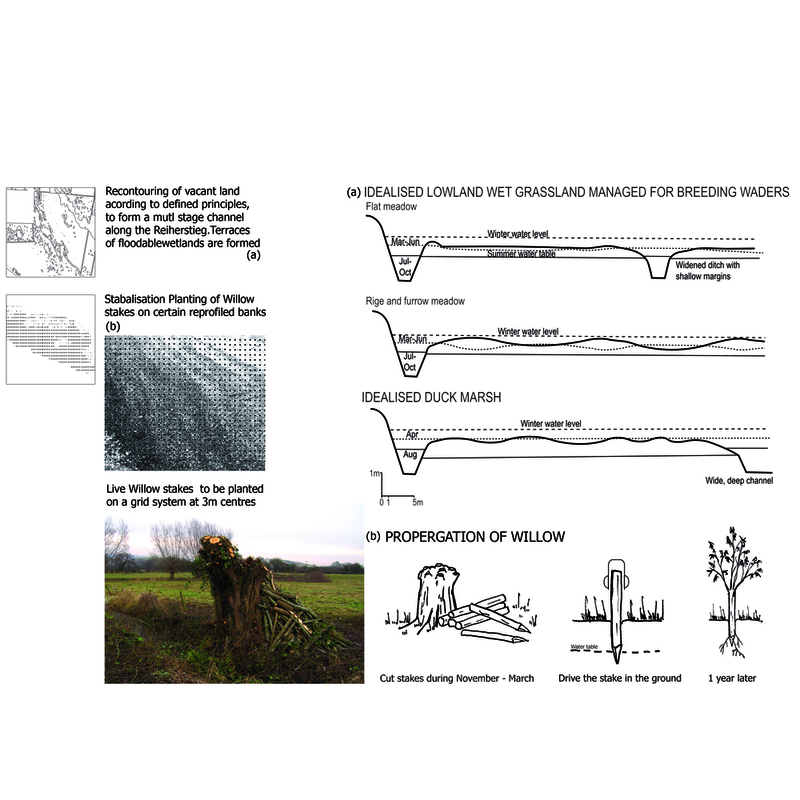 How the landscape framework is created, shaped and implemented has been explored through the questioning of landscape approach. Is it realistic, sufficient or desirable to compose the elements of a river system at this scale, assembling the components in the correct quantities? 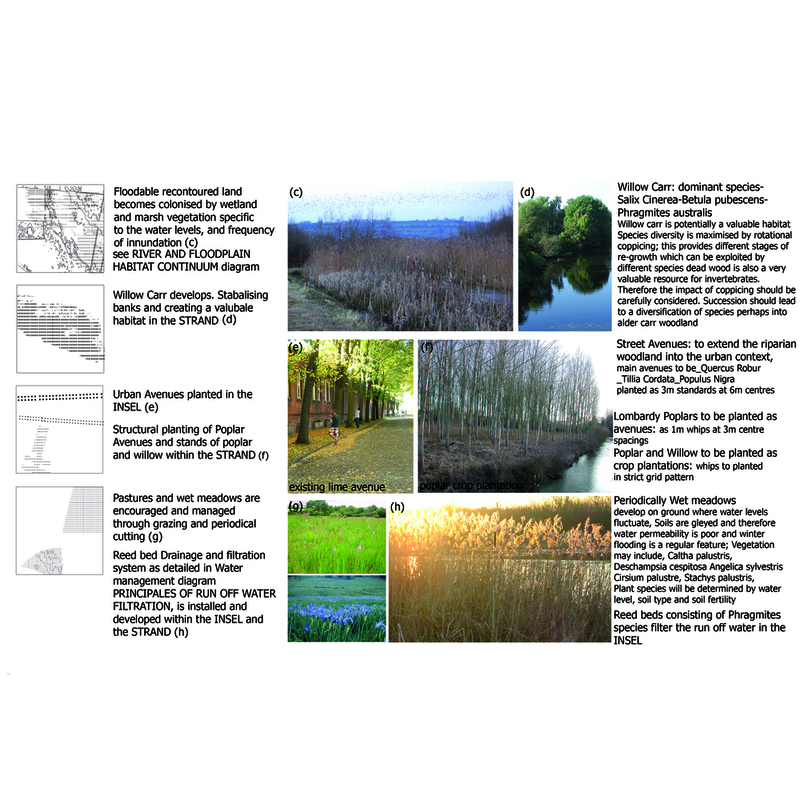 Or do we set up the conditions for natural processes to reclaim the now widely abandoned industrial land adjacent to the river floodplain?